In response to the industry’s push for standardization and digitalization, Øglænd System has developed a simulation environment that reduces engineering hours and adds smartness to a mechanical product portfolio. In Precision for Decision, P4D, we have invented new processes that unlock hitherto unavailable value in tertiary and equipment steel for offshore assets. P4D applies knowledge and techniques from automobile- and defense industries to the innovative, light-weight, and modular Mekano® multidiscipline support system. By following a mentality of mass production of standardized solutions, we have made it economically viable to use the most advanced technology to develop structural documentation with unrivalled accuracy. In developing new cars, tanks, or missiles, companies employ large expert teams working with million-dollar budgets, advanced testing facilities, and powerful simulation technology. Projects take years. In calculating pipe supports, we needed a process that was faster, more effective, robust, and independent of a drained talent pool. 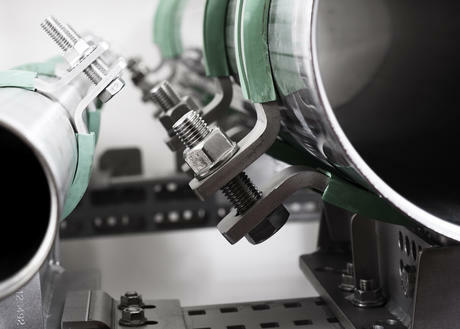 Oglaend System responded with a bold development program, which, after three years, succeeded in automating the entire finite element procedure (pre-processing, calibrating, iterating, simulating, and post-processing) with a minimum of labor input. The preparation, execution and documentation of analyses were reduced from months to minutes, making advanced finite element analysis even more cost efficient than the crude tools that are currently used. By inventing an automated, robust, and flexible finite element platform, Oglaend System is expanding the usage of light-weight modular supports systems to more critical applications. Our Mekano® system has already provided EI&T and HVAC disciplines with environmental, HSE, weight, cost, and flexibility benefits, but powered by P4D, the Mekano® system can deliver these benefits to more disciplines and new markets – now also with significant engineering cost savings! Mekano® multidiscipline supports with standardised configurations and modular design are pre-engineered, delivering maximum time and cost saving during design. Mekano® channels are exactly modelled allowing P4D to report exact capacity, thus allowing for weight and cost saving decisions to be made in the design process. Supports can be modelled with combination of disciplines and combinations of loadings representing exact consecutively loading conditions in order to optimize product selection and design. The combination of MultiGrid® design together with P4D pre-engineered Mekano® supports delivers optimal design flexibility. This is complemented with digital typical application details and comprehensive 3D model libraries. P4D delivers a comprehensively detailed report for each load combination in a standardized and simple to read format. Oglaend System believes that the next generation support systems are multidiscipline, for maximum equipment utilisation; modular, for full flexibility; and digitally available in 3D libraries, for efficient application. But these innovations cannot be supplemented with yesterday’s structural engineering tools. For one, the innovative geometry that gives Mekano® its strength and flexibility, cannot be modelled with established software solutions, where beams are represented by lines and connections by simple hinges. Mekano® demands more than engineering has been able to offer thus far. P4D provides the necessary algorithms to maximize the benefits of the Mekano® system. P4D is based on the advanced finite element code IMPETUS Afea, which is a modern, non-linear, explicit finite element software. This solution technique handles all the physics locally, making it suitable for complex, non-linear problems. In practice, the effect is that much more of Mekano®’s mechanical strength is available to designers and engineers. Unlike welded supports, the modular, multidiscipline approach is a holistic system offering that focuses on the entire lifecycle of the installations. 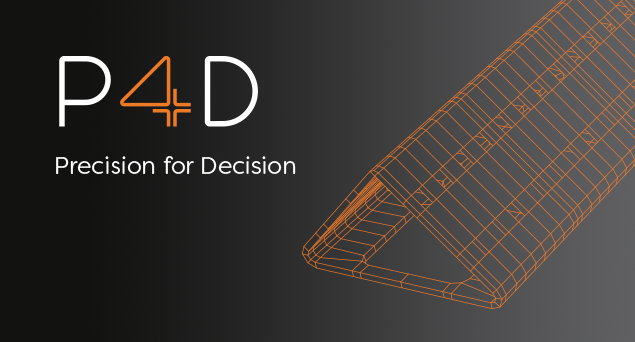 The structural knowledge provided by P4D adds the final piece to our system offering, thus marking the arrival of the next generation support systems. Don’t hesitate to get in contact with us to learn how P4D can help your projects achieve a seamless design, engineering, installation and maintenance integration.